I have some customer's projects to share today. Lisa Sumpter played with the brand-new set, Happy Santa! You can find these cards at Lisa's Etsy shop! Evy used Retro Girl 02 for this elegant card. 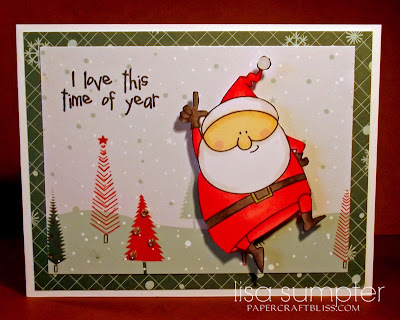 Henriette shared a card using Winter girl & Puppy with us on my Facebook page last week. 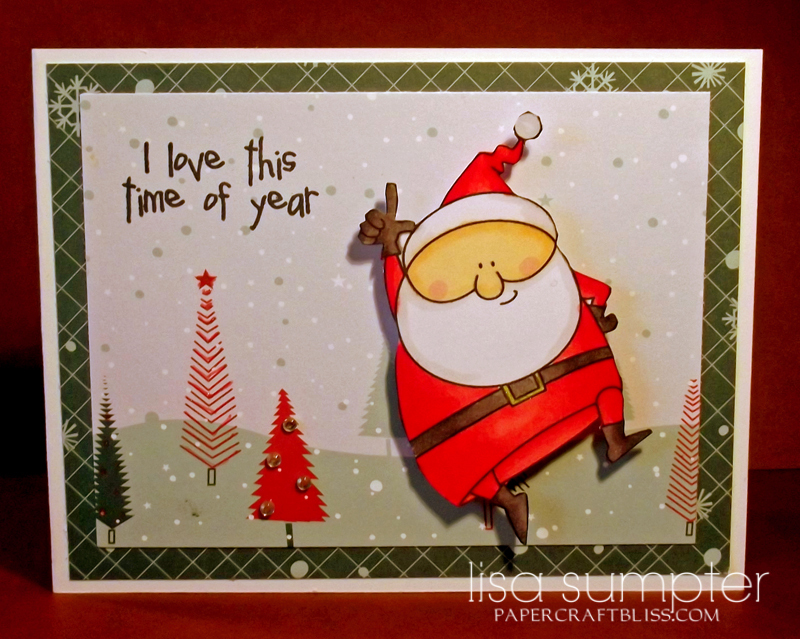 Melissa Oeters created an adorable card using Winter Bear 01. When you happen to get a card/project using my digi, please feel free to share it with us! If you are a new follower, you can find the info about how to share your creations HERE! Thank you for stopping by. Enjoy the rest of your weekend! What a lovely bunch of cards. 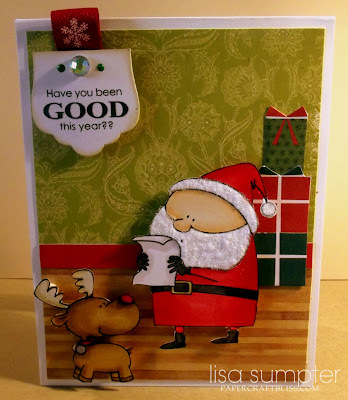 I LOVE Lisa's card that features Santa with the fluffy beard! Genius!